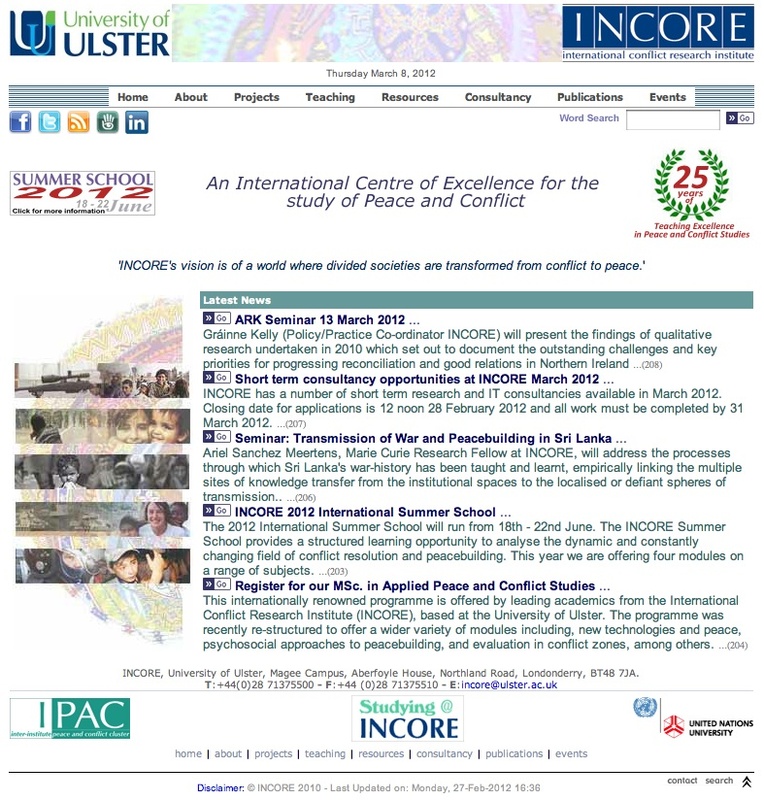 Based at the Political Science Faculty of the University of Ulster, INCORE is a joint project with the UN University devoted to interdisciplinary research on conflict and peace issues. It mainly focuses on Ireland and on societies in transition with a comparative approach. It offers a rich variety of online services for free, by maintaining some comprehensive databases and resource guides to a broad range of interdisciplinary studies and themes about peace and conflict, as well as to a list of academic programmes, research opportunities, related institutes and organizations worldwide. Its pages also give access to INCORE full-text research papers and to reviews of the latest relevant literature on peace and conflict published in the collection “Ethnic Conflict Research Digest”. This website also provides lists of published work by the center’s associates, freely downloadable in their original format. For a large amount of records and related resources, classification and detailed annotation are provided, displayed in a portal-like format. Moreover, records can be retrieved by browsing through a complex system of categorization or by using the keyword search feature. All material (except for some e-books) is retrievable for free. A textual sitemap and a clear content organization help users in navigating this website.